If you have a website or want to build one, there are two things you will come across again and again. These are Search Engine Optimization (SEO) and branding. Most of us have now started to understand the concept of SEO, even if we don’t quite understand how it works. However, branding is something different altogether. It seems as if it uses a whole new language that you may never have heard before. Hopefully, the following information will help you to understand just what you need to know about this strange new type of internet language. Firstly, there is your brand. This is what tells your customers exactly who you are and what you promise to do. Then, there is your brand identity, which is the image or logo you will use. 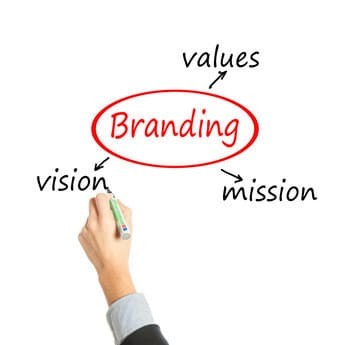 Branding itself is the work that you do to make sure that customers understand your brand and your brand identity, and this is the part that links very closely to SEO. You also have to consider your brand position, which is how you compare to others, and your brand management, which is about the tools and processes you utilize to make sure you continue to be at the front, or continue to improve. Lastly, there is your brand equity, which is how much your image is actually worth. A good example would be the McDonald’s M, which could never be purchased by anybody. There are four things that matter in the world of brands. These are product differentiation (what sets you apart), product relevance (demand for what you offer), esteem (how others see you) and knowledge (you have to be an authority on what you sell or offer). Getting these things right is what really matters in the world of branding. Indeed, SEO is a very important part of this, and the two often actually go hand in hand. As your website climbs the search engine ranks, more people will start to find you and recognize you. Similarly, as you become better known outside of the internet, people will start to look for you based on your brand and image, which in turn helps with your search engine optimization. If you hire someone from a SEO company to help with this for you, which is recommended, you have to make sure that they fully understand the link between these two issues. Similarly, if you work with two different marketing professionals, one for your offline work and one for your online work, you have to make sure that they work together and communicate together in order to make sure they can monitor each other’s process. The two things are so intricately linked together that it’s almost impossible to separate them now. Send us your message below.